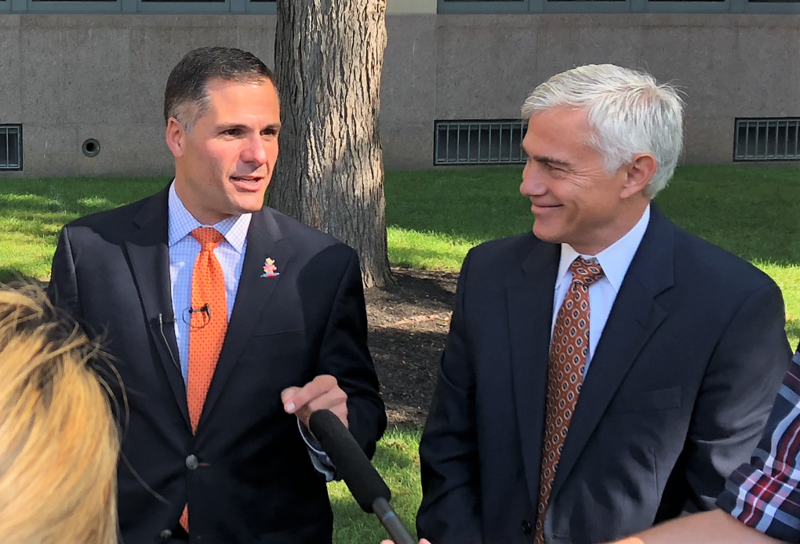 Republican candidate for governor Marc Molinaro, left, addresses the media, as candidate for the senate's 50th district seat, Bob Antonacci, looks on. Republican Marc Molinaro continues his tour across New York calling out Governor Cuomo for ongoing corruption and its impact on state business and eroding public trust. Molinaro’s visit to Syracuse Thursday came on the same day Cuomo Administration official Joe Percoco was sentenced to six years for accepting bribes from leaders of state contractors. 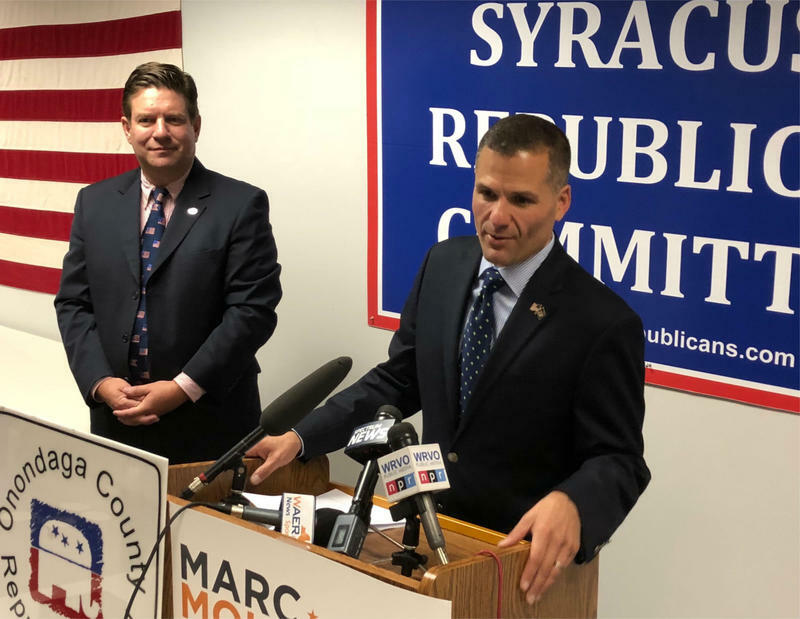 Republican candidate for Governor Marc Molinaro stopped in Syracuse as he campaigns across New York. Molinaro says it’s just one example of the Governor misleading taxpayers and trying to avoid scrutiny. "This isn't the way it's supposed to be. Teddy Roosevelt said no man is above the law. Yet the entities that were created to hold elected officials accountable have been silenced. The independent Ethics Commission is not independent; it's beholden to this governor. Inspector generals have been pressured not to take action. And the attorney general has turned a blind eye." He also points to other political maneuvers he says show Cuomo as unethical when it serves political purposes: A mailer falsely slandering Cuomo primary opponent Cynthia Nixon as anti-semitic; and rushing the opening of the Tappan Zee Bridge risking safety to help his election. John DeFrancisco appeared with Molinaro, despite losing the nomination to him. DeFrancisco is ready for a change at the top. 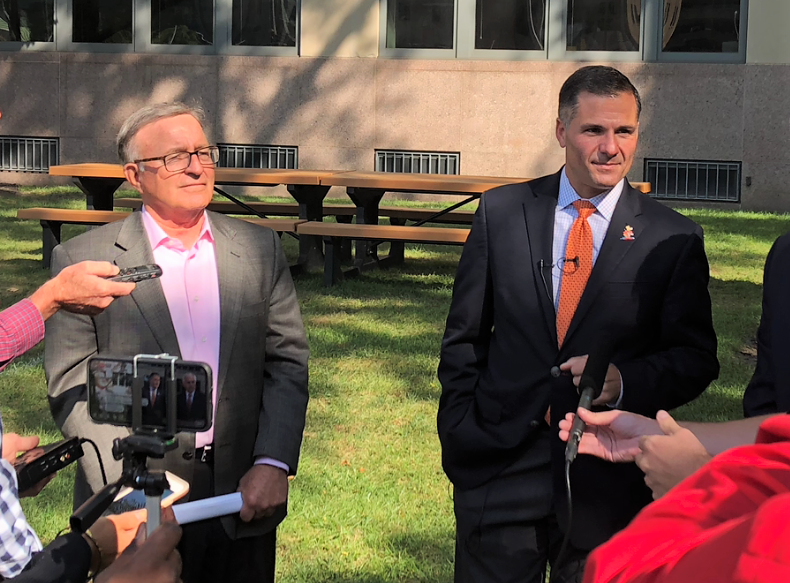 Retiring Senator John DeFrancisco, left, joins GOP candidate for governor Marc Molinaro in front of the state office building in Syracuse. DeFrancisco was officially bumped out of the race earlier this summer at the GOP convention. "The fact of the matter is we need new leadership, and I belive Marc Molinaro will bring us in a different direction of honesty and integrity. He'll also change the philosophy of government, rather than a philosophy that makes certain that everyone can help him get something." Is the ethics issue enough to sway enough voters to topple Cuomo? Molinaro knows many are focused on other issues, but he argues corruption has made it more difficult to solve problems. "It is exactly why this state government, this administration, have created the highest taxed state in America, why infrastructure continues to erode. This governor has been allowed to use the levers of power, the office of governor, to make political decisions that have compromised the safety, security, and benfit of taxpayers." Molinaro says he’d also like to expand access for medical marijuana … but has a wait-and-see attitude about legalizing recreational use, given problems in other states. He also favors a plan for Interstate 81 that would include a community grid with a short tunnel, which he says would serve everyone’s interests. It’s no secret what the main tactic will be for Republican Governor’s candidate Marc Molinaro this year. During a visit in Syracuse Thursday, he raised numerous examples, linking Andrew Cuomo with ethics problems and corruption. 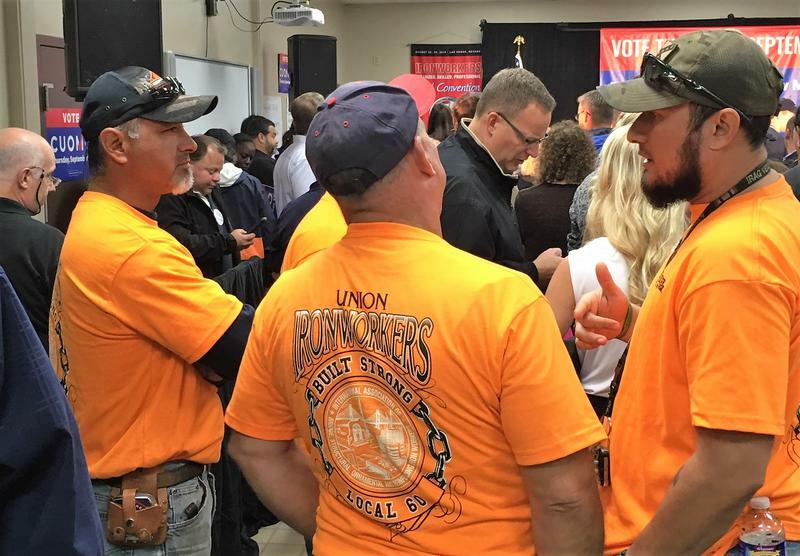 The question remains whether that can unseat the two-term governor. 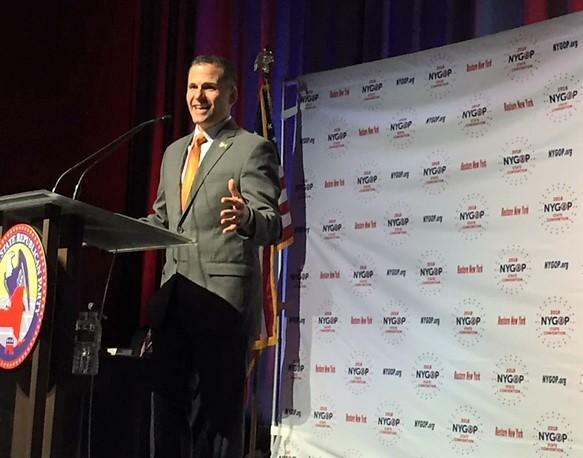 Republicans meeting at the state convention in New York City nominated Dutchess County Executive Marc Molinaro as their candidate for Governor Wednesday, and offered a scathing critique of Governor Andrew Cuomo, who is seeking a third term in office. Marc Molinaro presented himself as an ordinary person, who grew up in a family that relied on food stamps to become mayor of his hometown of Tivoli at 19, and who now runs one of the state’s more populous counties.